Welcome to a new day, brave beautiful souls of Earth. 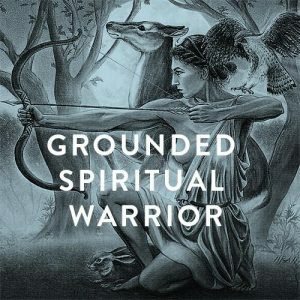 You are here now, which means you are the warriors of all time, sent to accept the mission that will therefore create the New Earth. The culmination of this vast experiment is reaching its period of fruition, and you have been chosen to be part of it. Let those words sink in and realize how much your fierce warrior hearts are needed at this time. There are great tasks for you to perform that revolve around the grand mission you said you would accomplish at this time. Not only do YOU need you; but WE, the entire universal population, need you to remember who you are. We realize however, some of you are only recalling bits and pieces of why you decided to be called to arms on Earth. Many of you take two steps forward and then one step back; allowing your human condition, and all the stress and strife associated with it, to bring you down. Slowing down the true purpose of your being here at this time. You have toyed with your progress for long enough. Things are rapidly shifting; you feel it, we know you do. You remind us of your Olympian pole vaulters. Those who train, run hard, firmly plant their poles to ground them, as they spring forward, high in the air to sail over the designated spot to victory. Yet, instead of sailing over the barrier to a tremendous win, we see you looking down, doubting yourself, your speed, your abilities; and rather than a victory, you land in a heap on the ground wondering what happened. The human mind is a powerful tool, but we see many of you using this against yourselves. You feel confident, you feel brave, but then instead of connecting into your heart, soul and Spirit, you place the emphasis back on the mind and the ego. We watch how you take great powerful potential, and beat it down to the ground, telling yourself you are not “enough” to do the things which you desire. You beautiful souls, are your worst enemies and we need for you to stop these behaviors, for there is much work that needs to be done. Many balls that need to start rolling. Many energy shifts that need to fire up. Think about how often you give your power away to another when you believe (for some reason) that they are more important than you. How can one be more important than another when we are all pieces of the same? Begin to look deeper within and avoid judgments all together. These judgments are what get you into trouble and are how that sneaky little ego tries to gain control. You are not your ego. You are not your emotions. You are not here to make others happy, to bend and twist yourself to the way they wish you to be. You are here to find your bliss, your purpose, and then to move forward. For each one of you have an individual purpose that is needed at this time for the collective whole. Do you begin to see now how much we depend on your being able to live your life from a place of confidence and power? You can also serve others when you exhibit a non-judge mental attitude. Everyone on your planet is on a difficult trajectory; accept this fact. We ask that when dealing with others with whom you interact, keep your own judgmental ego at bay. It can quickly spring to the surface, telling you all sorts of negative judgments about others, with the intent of making itself more important, but because you are a spiritual being having a human experience, you can, at any given time, choose to tap into your true spiritual self and move away from the judgmental ego. If all of your inhabitants on Earth took this approach, progress would happen rapidly. You are brave warriors of light. Be courageous and do not delineate from your true path. Take back the reins of power that you may have given to another. Do not linger or concern yourself with the story that may have gotten you into these situations of giving your power away; do not look back because that is not the direction in which you need to travel. Stop believing that everything must be perfectly aligned for you to begin to move forward in the place you dream to be, for it is true that a journey begins with the first step. You will never feel absolutely ready for any new adventure you endeavor to achieve. Your ego will always cause that nagging feeling of self-doubt to surface. It is up to you whether you choose to embrace that feeling of insecurity and doubt, or to acknowledge it, place it to the side, push back your shoulders, stick out your chest, hold up your head, and place one foot in front of the other…again and again and again. You decide.